Communicating in business tends to fall into three categories: email, phone, or face-to-face. All are valid and useful ways to communicate however each has their strengths and weaknesses and can be more appropriate in some situations than others. Emails are a common form of communication in business and it is not unusual for a manager, or any staff member, to receive a hundred or more emails in a day. It’s a quick way to communicate as preparing an email does not require any discussion or interaction. That doesn’t mean that the content of the email isn’t produced from a lot of research or interaction, but the act itself of communicating via email is one-way. Once the email writer has sent the email they can then decide when, or even if, they will continue the communication (i.e. reading and replying to any responding email). The biggest difficulty with emails is that they are not personal. How they are interpreted is very much down to the reader. The literary skills of the email writer will determine whether their message is portrayed exactly as they intended. What one person sees as factual and precise could be read be someone else as blunt and rude. Emails can very quickly result in monologues where misunderstands escalate and what could have been a short conversation, now consumes far more time and energy as people carefully construct their email replies. Emails do have the advantage that they allow people to revise and improve their message before delivering it, and for the receiver, they can take their time to respond. People like emails because it puts down on paper (if only virtual paper) facts, information that can be produced at a later date to prove a point. The difficulty with this is that it can encourages a culture where everyone feels that they have to include everyone possible on the distribution list. The end result is hundreds of emails in everyone’s mailboxes, making it difficult to focus on those emails that do genuinely need your attention. As a manager it's important to encourage your staff to use a variety of methods to communicate. Communicating via the phone is more personal than the email, and therefore there is less scope for misinterpretation. With the prevalence of mobile phones, and staff that are often distributed around various locations, it is a necessity in business to communicate via the phone. By using the phone, a message can quickly be communicated, and as such is a powerful business tool. It doesn’t however replace face-to-face communication. Speaking to someone in person allows you to interpret any non-verbal communication, perhaps their body language suggests they are unhappy with the situation. Likewise, if the information to be communicated is difficult or unpleasant for the receiver, such a conversation over the telephone can seem impersonal. We interpret as much of a message with our eyes as we do with our ears. Finding out important information via an email is impersonal. It is like reading it in the newspaper, we can read about it, but we have little immediate way to ask for more information, other than to respond to the email. But if we find out in person, perhaps in a group forum or on a one-to-one basis, I have the opportunity to participate in the communication. I can look at the person and their non-verbal communication – are they looking me in the face? Do they seem genuinely concerned when they say they want to help? Or are they avoiding eye contact. This is very power communication, which often says more than the words that are accompanying it. It is often easier to ask someone to do something via an email. It’s quick and easy and saves the time of walking around to see them in person. And of course, they may not even be at their desk. However, if communication is always via email people do not form relationships, and they know each other only as the name at the bottom of an email. The reality is that people like interaction, and are more inclined to do something for someone they know rather than some name they don’t necessarily connect with a person. Face-to-face communication is the most complete way to communicate. There is less scope for misunderstanding and allows for verbal and non-verbal messages. However, with the constraints of time and budget in business it is not always possible or practical to always meet in person. Emails and Phone Conversations are very useful ways to communicate, but it’s important to always use a combination of methods. Everything really important should be discussed face-to-face, and where decisions are taken, the meetings should be minuted. Working through how to implement those decisions can be done via email, leaving the phone for more urgent remote communication. Why? It’s always better to have a paper trail of responsibility in case of problems. All three are appropriate at different times, as is instant messaging within an office, which you didn't mention. One of the main problems with email is that there's no inflection, so misunderstandings and grievances can occur when none have been intended. 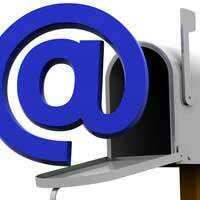 But email is instant, and has become the preferred method of communication for most things. Many companies could benefit by having their employess take a course on how to use the medium effectively.